The charming coastal town of Poole, in Dorset, is a hugely popular destination within the UK for people looking for a nice place to explore and relax. 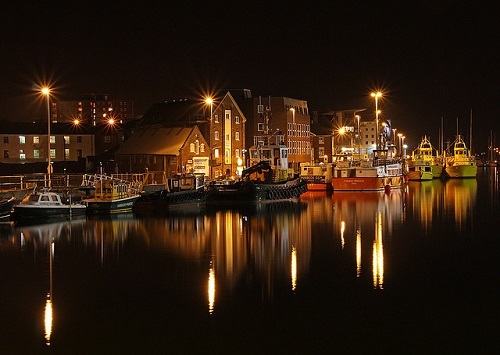 With its famous quay, its popularity among water sports enthusiasts, and its proximity to some of the South Coast’s most attractive beaches, Poole has, for a long time, been one of the favourite locations for British holidays. What is Poole Famous for? Poole is known for several things, one of them being that the Sandbanks area, a peninsula which sits across Poole Harbour, is one of the most expensive places in the world to live, and home to some of the richest people in England. Per square meter, Sandbanks is the fourth most expensive place in the world to buy property, and other areas nearby such as Canford Cliffs, Branksome Park and Lilliput have some of the most expensive property prices in the UK outside of central London. Among the famous residents in Sandbanks are football manager Harry Redknapp and his son, former Liverpool player Jamie Redknapp. Poole is also famous for pottery, and you can still buy pieces of Poole Pottery from shops in the town. Known for being very high quality with attractive designs, often featuring dolphins to tie in to the coastal nature of the town, these pieces are popular souvenirs and also sought after by pottery collectors. Another of the things the town of Poole is famous for is being the base of the RNLI, the charity that provides lifeboats and the people who man them, who are responsible for saving people who get in trouble at sea. Poole has also been home to a number of very famous people, including Lord of the Rings and The Hobbit author JRR Tolkein, who lived here when he retired. Most things to do in Poole centre around the seafront, with the quay area being home to the best restaurants, bars and clubs in town. Poole has a lot of good places to eat, but for most visitors it is a must to try some of the local fish and chips, made of fish caught fresh from the sea. One fun way to spend a day while in Poole is to take a boat trip from the quay around the harbour area, perhaps visiting nearby nature reserve Brownsea Island, which is known for having one of the UK’s only populations of red squirrels. When you travel by boat, you can also see some of the luxurious houses in Sandbanks from the water. If you want somewhere to relax or play sport, beautiful Poole Park is a welcoming place, which is ideal for picnics or spending time with the family. There are of course also Poole’s beautiful white sandy beaches to enjoy. With a rich history, a relaxed, fun atmosphere, and plenty of things to do, it is no surprise that Poole remains one of the best seaside destinations on the British coast. Easily accessible from London and offering close proximity to other popular places to visit like the New Forest and Bournemouth, Poole is the ideal town for a summer holiday or weekend away.